Born 1974 in Italy, Rebecca studied Fine Arts in Florence. She lives and works in nomadic condition and her work is focused on the reprocessing and resetting of social, political and environmental themes, investigated during journeys and several artist residencies program all around the world. Her works are shown in personal and group exhibitions, galleries, public and private collections in Europe, Asia and USA. She was awarded with few international prizes in the United States, Korea, and Italy, and she held lectures and participated in symposiums in several countries, such as at Boston University (USA), Maraya Art Center (UAE); University of Hull (UK), Xiamen University (China); PROG Zentrum (Switzerland); University of Genoa (Italy); and Taipei Artist Village (Taiwan), just to name a few. Her last production, the two years long project Journey into Fragility, was oriented towards the perception of the future in relation to climate change and multiple human interventions in the natural environment and sense of insecurity that characterizes this new millennium. In 2015 she conceived and created, in collaboration with the visual artist Rachela Abbate, a platform for aesthetics of social activities, Social Soups, that contains creative projects, events and artist residencies, to open through art a space of social transformation focusing on the food. In 2016 she conceived and organized in collaboration with Ca' Foscari University of Venice, The Festival for the Earth – sustainable visions in art and science, where international guests from the academic and public realm have been invited to discuss and reflect on achievable models for responsible living on Earth. Since a few months ago, Maria Rebecca Ballestra has started a new long-term art project, Echoes of the Void. Over two years she will investigate the geological, cultural, spiritual, environmental meaning of the wastelands around the world. Dominic Boyer is Professor of Anthropology at Rice University and Founding Director of the Center for Energy and Environmental Research in the Human Sciences (CENHS), the first research center in the world designed specifically to promote research on the energy/environment nexus in the arts, humanities, and social sciences. He is part of the editorial collective of the journal Cultural Anthropology (2015-2018) and also edits the Expertise: Cultures and Technologies of Knowledge book series for Cornell University Press. His most recent monograph is The Life Informatic: Newsmaking in the Digital Era (Cornell University Press, 2013). With James Faubion and George Marcus, he has recently edited, Theory can be more than it used to be (Cornell University Press, 2015) and with Imre Szeman has developed Energy Humanities: An Anthology for Johns Hopkins University Press (forthcoming 2017). His next book, Energopolitics, is part of a collaborative multimedia duograph with Cymene Howe, which will explore the complexities of wind power development in Southern Mexico. With Howe, he also co-hosts the “Cultures of Energy” podcast (available on iTunes, PlayerFM and Stitcher). 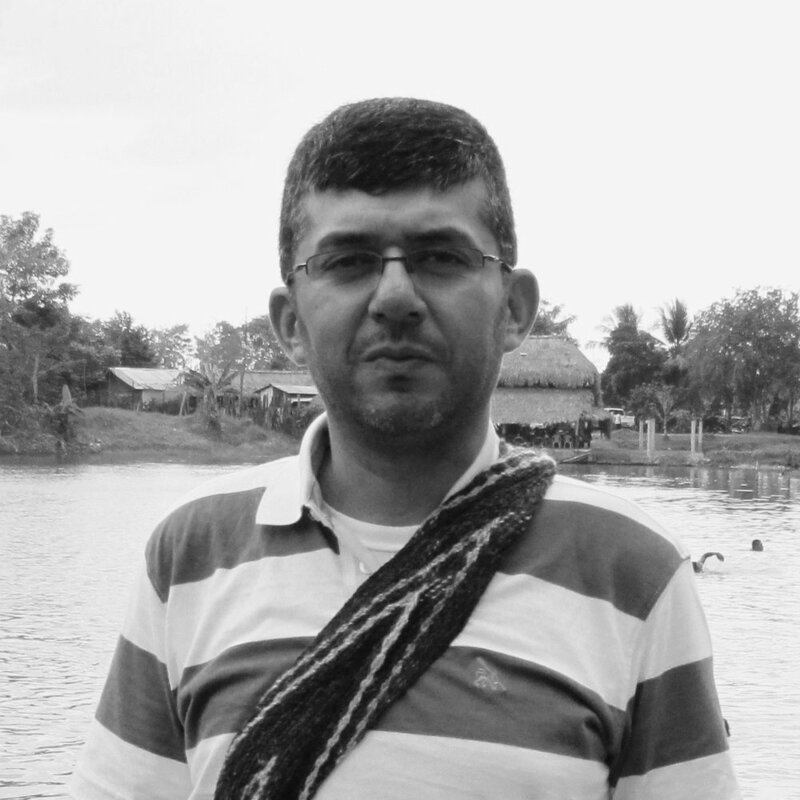 Alejandro Camargo's research interests include the transformation of rural livelihoods and landscapes, water and land governance, and agrarian relations in a context of abrupt environmental change and uneven development. In recent years, his work has been focused on understanding how catastrophic visions of the future, related to global climate change and the Anthropocene, translate into specific technologies of governance; and how those technologies are adopted, implemented, negotiated, and experienced locally. 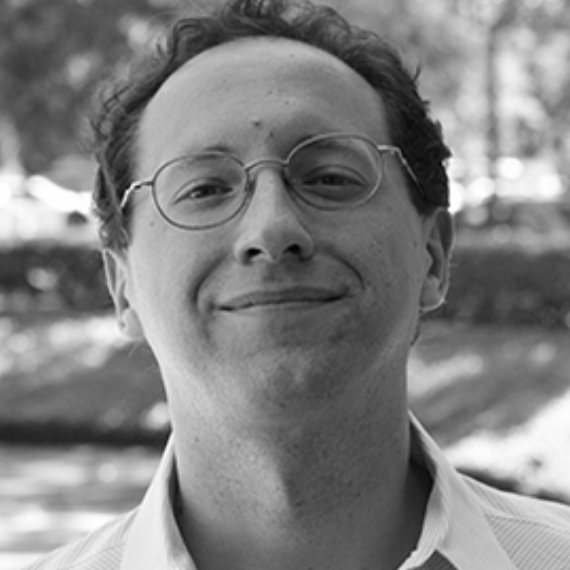 His dissertation, “Disastrous waters, renascent lands: politics and agrarian transformations in post-disaster Colombia,” is an ethnographic account of the ways in which global climate disasters and state-led adaptation governance are actualized, experienced, and transfigured in the everyday life of rural people in Colombia. This dissertation also considers how competing notions of post-disaster futures are produced and negotiated in the aftermath of catastrophe. He is currently starting a new project intended to ethnographically analyze the production of new geographies of climate risk and disaster in the era of the Anthropocene. This analysis seeks to understand how knowledge about global climate risk and disaster vulnerability in specific areas in Colombia are produced by government officials, scientists, and the popular culture. Additionally, this project studies how that knowledge leads to the creation of risk zones, which ultimately sets spatial limits to the everyday life of those who inhabit dynamic environments such as floodplains and wetlands. He is also interested in the history of development, the global fisheries crisis, and the politics of infrastructure. As a postdoctoral fellow, he is also part of a research team investigating water governance and the development of urban infrastructure services in the Global South. Jim is a Zuni tribal member and director of the Colorado Plateau Foundation and director of the A:shiwi A:wan Museum and Heritage Center. He serves on the boards of the Grand Canyon Trust and Jessie Smith Noyes Foundation and is a senior advisor for Mountain Cultures at the Mountain Institute. He is a National Geographic Society Explorer; a New Mexico Community Luminaria; and an E.F. Schumacher Society Fellow. Jim’s service the past forty years includes natural resource, cultural resource, philanthropic, and arts work for many organizations including UNESCO, UNDP, International Secretariat for Water, US Bureau of Indian Affairs, the Mountain Institute, Zuni Tribe, and several major charitable foundations, museums, and universities. He has written in Heritage In the Context of Globalization; Science, Technology, and Human Values; Sacredness as a Means to Conservation; Mapping Our Places; Indigenous People and Sustainable Development; A:shiwi A:wan Ulohnanne, and Redrock Stories, to name a few. Recent short pieces include: We Cannot Live by Sentiments Alone, The Museum Collaboration Manifesto, Buyer Beware, What I Tell Boys, and Please Don’t Call Me a Warrior. Jim’s work leading a map art movement has earned him several accolades. In 2010 during the American Anthropological Association’s annual conference Jim was awarded the first Ames Prize for Innovative Museum Anthropology. In 2013 he received the Guardian of Culture and Lifeways Award from the Association of Tribal Archives, Libraries, and Museums, and in 2016 received the Hewett Award for leadership and service to the New Mexico museum community and for achievements in the museum field. Jim is also a home builder, firewood hauler, traditional bow hunter, artist, and farmer. He lives in his work in-progress home at Zuni, New Mexico. 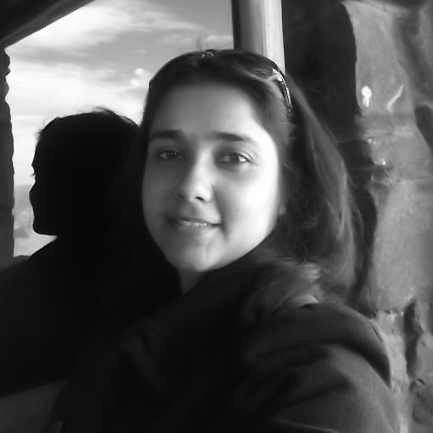 Ananya Ghoshal is an Assistant Professor of English at the Indian Institute of Technology Indore, India. She received her doctorate from the Department of English Literature at the English and Foreign Languages University (formerly CIEFL), Hyderabad, India, on the Influence of Music in Postcolonial Literature (2016). Her pre-doctoral research was conducted in the Department of English at the University of California, Berkeley, on a Fulbright-Nehru Fellowship. Her major areas of interest include word and music studies, digital humanities, film studies and visual culture, children’s literature, human-plant ethics and disability studies. She has presented her work at various universities in India and abroad and has published several journal articles and book chapters. Ghoshal is a classically trained singer and Kathak dancer, whose work intersects with graphics, creative writing, photography, and filmmaking in relation to the discourses of emerging media technologies. Before coming to IIT Indore, she was an Academic Fellow at the Forum on Contemporary Theory, Baroda, India. Gutsa is a granduand (PhD in Anthropology) of the University of the Witwatersrand (Wits), South Africa. His doctoral research examined the impacts of climate change on livelihoods of female elderly headed households. He has more than twelve years of substantive working experience teaching undergraduate and postgraduate levels at University level. Gutsa has also carried out research and, in the process, presented papers at international conferences in a number of countries in Africa, Europe, Asia, and Latin America, focusing mainly on elderly people, climate change, sexual and reproductive health, HIV, and AIDS. This research has been published in a number of journals. In the year 2010 Gutsa was selected as one of the New Faces for African Development by the European Report on Development for the year 2010. Over the years he's been involved as a consultant in baseline studies and end of term project evaluations for International and local NGOs in Zimbabwe and in Southern Africa. Cymene Howe is Associate Professor of Anthropology at Rice University and a core faculty member in the Center for Energy and Environmental Research in the Human Sciences. She is the author of Intimate Activism: The Struggle for Sexual Rights in Postrevolutionary Nicaragua (Duke 2013), co-editor of 21st Century Sexualities (Routledge 2009) and has published numerous articles and book chapters in anthropology and transdisciplinary texts. In a multi-year collaborative research project with Dominic Boyer in Southern Mexico she has followed the political and social contingencies of renewable energy development, paying special attention to the material, multi-species and political/ecological effects of wind power as well as the ethical questions its turbulence inspires. Ecologics: Wind and Power in the Anthropocene (forthcoming Chicago 2018) will be published as a duograph—two single-authored, dialogic texts meant to be read with/against each other. Cymene’s work on renewable energy transitions in Mexico analyzed the role of “mitigation” strategies in forestalling further anthropogenic harms to the earth’s aqua-, litho-, bio- and atmospheres; her current research concerns “adaptations” to climate change. Melt: The Social Life of Ice at the Top of the World, her current project, seeks to understand cryohuman interrelations and the implications of the metamorphosis of ice in Iceland. In this work and others, she is committed to thinking through how ecological authority is constituted as well as how anthropogenic climate change calls for new ways of imagining our collective biotic and material futures. She currently serves as a member of the editorial collective of Cultural Anthropology and as co-editor of the Johns Hopkins Guide to Social Theory. Sue Jackson has over 20 years’ experience researching the social dimensions of natural resource management in Australia, particularly community-based conservation initiatives and institutions. She has research interests in systems of resource governance, including customary Indigenous resource rights, and Indigenous capacity building for improved participation in natural resource management, as well as the social and cultural values associated with water. Her recent research has improved the capacity of Indigenous communities to advance their claims for water rights. Sue is co-convenor of a new working group of the Sustainable Water Future Program, an initiative of FutureEarth. Sue has published over 50 journal articles in international geography, hydrology, ecology, law and planning journals and 30 book chapters. In 2014 she was awarded a prestigious Australian Research Council Future Fellowship to undertake research on Indigenous water management and rights in the Murray Darling Basin. 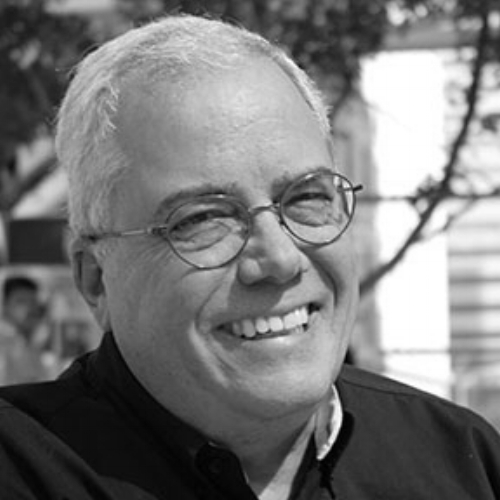 Mark Kesling has been a pioneering artist and designer in the field of museum education and design for more than 30 years. He has designed, created and managed major exhibits and installations in museums including The Children’s Museum of Indianapolis, The Museum of Science and Industry in Chicago, The Carnegie Museum, The Exploratorium, and the Children’s Museum of Wilmington. While at the Museum of Science and Industry, Mark was responsible for leading the museum’s long-range planning efforts to redesign its exhibits and programs. He collaborated with local neighborhood leaders, city leaders, and visionaries from a variety of science and engineering fields throughout North America. He pioneered the early use of mobile computers in exhibit interpretation, developed helium filled vehicles that enabled visitors to see inside planes hanging from the museum’s ceiling, and was successful in updating exhibits for the Navy, coal, and food industries. As the founder and CEO of the daVinci Pursuit, Mark continues to provide leadership through the design of a “museum without walls.” He possesses a unique set of skills, combining art with science in ways that engage learners of all ages. He works with neighborhood, city, institutional, artist, and educational partners to create science installations in some of the most neglected neighborhoods in Indianapolis. Mark holds a MS in Science Education from Butler University and a BS in Elementary and Art Education from Indiana University. Jason M. Kelly is the Director of the IUPUI Arts and Humanities Institute and an Associate Professor of British History in the Indiana University School of Liberal Arts at IUPUI. He is a Fellow of the Society of Antiquaries of London and the author of The Society of Dilettanti: Archaeology and Identity in the British Enlightenment (Yale University Press and the Paul Mellon Centre for Studies in British Art, 2010). George E. Marcus has worked on a number of individual and collaborative research projects concerning elite cultures, from the Tongan kinship, to concentrations of dynastic wealth, and philanthropic and art patronage activities in the United States, to the sensibility of residual Portuguese aristocrats, to the present conditions of a bureaucratic post-World War II utopia for trade, the World Trade Organization. Alongside those projects he has had an interest from the beginning of his career in the evolution, status, and changing possibilities of anthropology's signature methods of fieldwork and ethnographic writing. Having founded a Center for Ethnogrpahy at UCI in 2006, Marcus has been interested in the collaborative nature and environments of contemporary ethnographic research, and in its interfaces with dies gin thinking and disciplines as well as conceptual/participatory art traditions. He has co-edited Writing Culture (1986), The Traffic In Culture (1995), Fieldwork Is Not What It Used to Be (2009), Theory Can Be More Than It Used To Be (2016); conceived and edited The Late Editions series of annuals (1992-2000); authored Lives In Trust (1992), Ethnography Through Thick and Thin (1998); and participated in discussions with Paul Rabinow, James Faubion, and Tobias Rees published as Designs for an Anthropology of the Contemporary ( 2008). He is currently writing a co-authored book on a series of collaborations done with Luke Cantarella and Christine Hegel that combine ethnographic method and stage design. Fiona completed her PhD (2014) in the Department of Anthropology at University College London (UCL) in visual anthropology & material culture. Her dissertation is Charting Material Memories: a visual and material ethnography of the transformations of woollen blankets in contemporary art, craft, and Indigenous regalia in Canada, Aotearoa/New Zealand, and the United States. From 2016-2018, Fiona was the inaugural Postdoctoral Research Fellow at the IUPUI Arts and Humanities Institute. Fiona is the co-founder of Ethnographic Terminalia Collective (ETC) (ets.2009), an international curatorial collective that curates exhibitions at the intersections of arts and anthropology. ETC have curated and organized exhibitions and workshops where they aim to move academic research beyond the academy through public engagement. Amelia Moore is an Assistant Professor of Sustainable Coastal Tourism and Recreation in the Department of Marine Affairs at the University of Rhode Island. Amelia holds a Ph.D. in Sociocultural Anthropology from the University of California Berkeley and a B.A. in Environmental Biology from Columbia University. Her research explores the relationship between science and capital, specifically environmental science and tourism, as these industries coproduce the Anthropocene while simultaneously devising opportunities to profit from it. Her projects follow these themes in small island regions including The Bahamas, Indonesia, and coastal Rhode Island, and are centered around offshore wind energy infrastructure, tourism development and destination design, artificial reefs and coral restoration, agritourism, and the relationship between coastal fisheries and tourism. Amelia’s recent peer-reviewed publications include an article on New Urbanist development as a supposedly sustainable tourism product (“Islands of Difference: Design, Urbanism, and Sustainable Tourism in the Anthropocene Caribbean”), an article on tourism in the Anthropocene (“Tourism in the Anthropocene Park? New Analytic Possibilities”) and an article proposing a framework for an anthropology of the Anthropocene (“Anthropocene Anthropology: Reconceptualizing Contemporary Global Change”). She is also completing a book manuscript on tourism and science in The Bahamas (Destination Anthropocene: Global Change Science, International Tourism, and the Rebranding of Small Island Space in The Bahamas). Philip Scarpino is a professor of public history and director of public history at Indiana University-Purdue University at Indianapolis. He is also director of oral history for Indiana University's Tobias Center for Leadership Excellence. He is the author of “Great River: An Environmental History of the Upper Mississippi River,” and co-editor of "Public History and the Environment." He has written, spoken and consulted widely on public and environmental history. In 2010, he completed a book-length analysis of cultural resources on Isle Royale National Park for the National Park Service. Scarpino served as historical advisor on Conner Prairie's recently installed Nature Walk and 1863 Civil War Journey. He teaches American history, environmental history, historic preservation, and public history and also leads oral history projects for the Tobias Center and other organizations. Scarpino earned a bachelor’s degree from the University of Montana and a both a master’s and doctorate degree from the University of Missouri, Columbia. Paul Stoller has been conducting anthropological research for more than 30 years. His early work concerned the religion of the Songhay people who live in the Republics of Niger and Mali in West Africa. In that work, he focused primarily on magic, sorcery and spirit possession practices. Since 1992, Stoller has pursued studies of West African immigrants in New York City. In his most recent work, Stoller has focused on the dynamics of well-being in the world. Stoller’s research has resulted in the publication of 14 books, including ethnographies, biographies, and memoirs, as well as three novels.